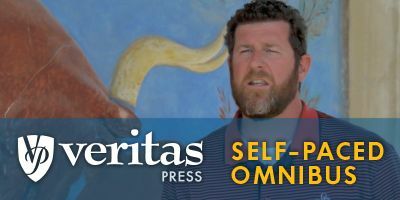 Veritas Press Classical Curriculum offers online education through Veritas Press Self-Paced Omnibus 1. 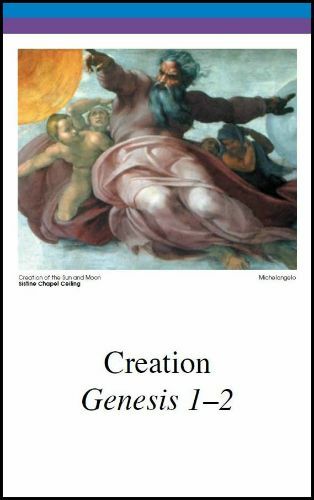 This program walks us through the Bible and takes a look at history, literature, and theology; all within a Christian worldview framework. This program works for ages 12 and up, and I used it for my 17 year old Senior. We are using it for a high school credit of Ancient Literature. Access to the program is $295 and there is an add on for siblings for $100. The self-pace has allowed us to get a feel for the program without having to sign in to specific classes at certain times. That is so helpful, especially with reviewing in the summer. The self-pace will allow Montana to get ahead in the summer and to not be quite so bogged down this fall when he adds in additional classes to his senior year. This is consumable. Once you watch the video and do the lesson, your information and grades are stored. You can go back and rewatch the video however which is helpful for review. I would love to see this in more of a DVD format, especially with a large family. The information is outstanding and I would love for all of the kids to be able to go through the Omnibus program. There are 175 lessons so Montana needs to do one daily to get through the school year. The first 3 or more lessons included quite alot of reading and these lessons typically take him about 1.5 hours to complete. The ones without the reading are much shorter, getting done in less than an hour. There is a video with each lesson by Bruce Etter. There are questions to consider, questions asked to others in general to see their reaction, and short stories to help emphasize the main point of the lesson. There are also assessments that are grades to see how the student learned from the lesson. The lessons are in no way watered down. As an adult I enjoyed listening to the videos and following along. I actually feel that it would maybe be a bit too much for a 12 year old unless they are pretty mature. and MANY books included in our Veritas Vital Source Bookshelf. The Vital Source Bookshelf is an ebook compilation of all of the books you will need in the study, available to read directly on the PC or even on your tablet. No need to search for these various works which has made it much easier for us to utilize! The books of the Bible were something he was quite familiar with. I love how there is additional ancient literature included that helps to emphasize the truth of the Bible. When logged in as the teacher I had hoped I could look ahead to see what was coming up, and to help gauge the time he would need. I was not able to, nor was Montana on his schedule. There is no way to see the advanced lessons until you get through the first lessons. You can see what the next reading assignment is going to be in a pdf format. Montana has probably been the child of mine who has been most faithful in reading the Word daily. I thought he would really enjoy the Self-Paced Omnibus to help him dig deeper into what he has read in the past. I love how they take you to some of the actual sites, making the Word come alive! You will need high speed internet. We actually have to make sure no-one else in the house is running internet at the same time in order for this to work on the PC. We have pretty fast internet, but the program really does require a lot. See what my fellow reviewers thought about Veritas Press by clicking on the banner below.